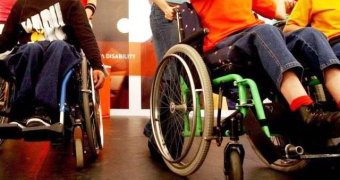 The National Disability Insurance Scheme (NDIS) stopped processing thousands of applications from service providers, critical staff were untrained and properties were not ready when the scheme's nationwide rollout began, documents have revealed. A much-publicised IT meltdown saw people with disabilities wait weeks for their care packages to be approved while payments to providers froze. After a six-month Freedom of Information (FOI) battle, even more chaos plaguing the NDIS's transition from trial sites to a full scheme on July 1 can be exposed. Between 3,000 and 4,000 businesses and not-for-profit providers were blocked from entering the scheme because applications could not be transferred to a new IT system. "[Data was] needed to inform [the] process but information has not been provided," one document stated. "Agency is not able to process new providers until this issue is resolved." By mid-June, the National Disability Insurance Agency's (NDIA) Full Scheme Launch committee was told the problem "still needs attention but due to competing priorities this can be delayed". Multinational consultancy firm Ernst and Young was enlisted to help fix the issue, the papers show. The ABC analysed more than 150 pages of high-level internal documents produced in the seven days before and after the launch — one of the biggest milestones in the program's short life. NDIS enrolments surging, but at what expense? Disability advocates say in the race to meet enrolment targets, people entering the NDIS are losing out. They show NDIA staff could not update their own website for days. They had to call officials at a separate government agency, the Department of Human Services, to make changes. "As interim measure we are providing a 24-hour support line if news or events need to be published," a document said. Seven of 27 properties were also "not operationally ready" because of short-term branding "compliance issues" along with "timing issues" for long-term properties. Training for local area coordinators (LACs) was also marked "code red" on the committee's pre-launch tracking system. Nearly 550 coordinators were supposed to be trained by late-June. But only about 150 had done an online program and just 54 had received face-to-face training. LACs are private organisations contracted to act as a conduit between people with disabilities, the agency and service providers. 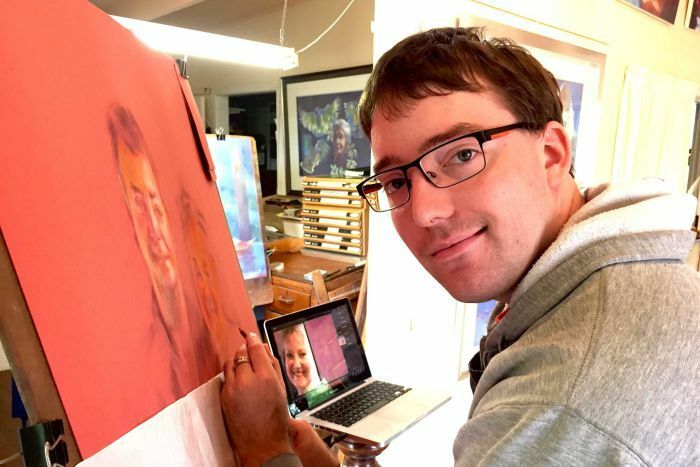 NSW south coast resident Joshua Adam has conditions including autism and cerebral palsy, but lost a raft of existing supports after meeting with a coordinator to design his NDIS plan. Mr Adam and his family believe poor coordinator training contributed to the outcome. "[It was] a kick in the gut because this was meant to be an improvement — it was meant to be there to help us and help develop me and help me improve," the 26-year-old said. Mr Adam said neck and shoulder pain had been constant after funding stopped for gym sessions and massages last November. "Far worse than they have been for years," he said. NDIA spokesperson Maryanne Diamond apologised to the young disability pensioner. "I and the agency are sorry that he had an experience as he did," Ms Diamond said. "But his experience is really important to us that we can learn and improve our systems and processes to ensure that doesn't happen again." The NDIA recently reviewed Mr Adam's case and his funding plan can now be used to pay for services he previously received. The scheme is expected to cover 460,000 people by 2020 and cost $22 billion annually. The Opposition's spokeswoman for social services, Jenny Macklin, said the Coalition was warned many problems were looming. "There was a lot of preparation the Government didn't make sure was done," she said. "These problems need to be ironed out as a matter of urgency and that really does need the Government to get more involved, take responsibility for the problems that do exist, and give the resources to the agency so it can get on with the job." Social Services Minister Christian Porter referred the ABC to the NDIA for comment. Ms Diamond conceded more work needed to be done before July 2016. "Yes, we could have done a bit more work in change management," she said. "I think we did our best and we worked really hard to get everything ready and going. "But we are very pleased with how we're tracking at the moment." The latest quarterly report showed close to 26,000 people signed on in the three months to December 31. Only 7,400 new participants were enrolled in the preceding quarter. My child has Autism – what now?